For the last four years Calvary Baptist Church has hosted a Ramadan Prayer Initiative to encourage Christians to pray for the Islamic world. Muslims are the most unreached people group and hold a deep opposition to the Divinity of Christ. The Muslim faith is growing rapidly in New York City. Many of us have a relative or a friend who is a Muslim. Every year we publish a one-month prayer calendar for Ramadan (the most holy month in the Islamic calendar). 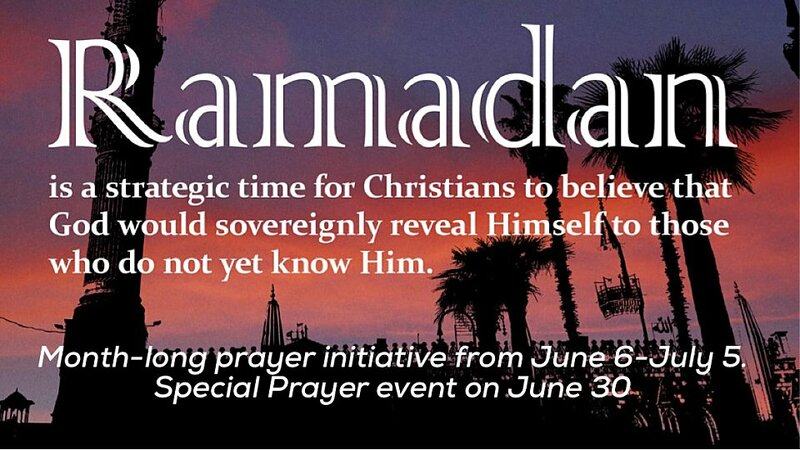 The purpose of the calendar is to encourage and inform our congregations about the need to pray for the Muslim world. We pray that the Lord will hear our cries and have mercy on the Islamic world, calling people to repent and give their lives to the Lord. Click to download the 2016 prayer calendar. This year Ramadan will be from June 6-July 5. 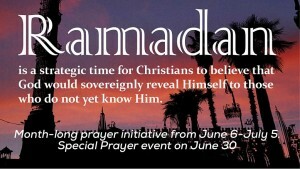 Calvary will host a special prayer event on Thursday, June 30, at 6pm. Join us at this Middle Eastern themed event where we will pray for these friends and neighbors. If you have any questions, please contact Dr. A. R. Javed at: ambassadors@cbcnyc.org or phone 212-957-0170 Ext. 109. Tagged Prayering at Ramadan, Praying for Muslims, Ramadan, Ramadan Event.